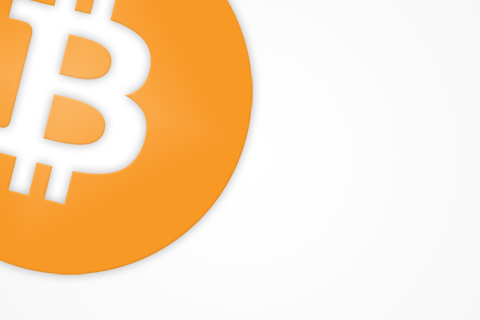 Create your own coin like Bitcoin with a few simple clicks. We make blockchain technology available for everyone. Using our unique coin wizard you can create your own coin without any knowledge of programming. We offer you a functional coin, based a recent source code of Bitcoin, Litecoin, Dash and PIVX. The coin is delivered as a software download with a Windows and Linux wallet. Additional products and services are available trough “MyCoin” our self-service portal. Best for very advanced coin users. Best for beginners and advanced coin users. Best for advanced coin users. * Features are available in a paid coin, free coin has five days of free node hosting. Free coin with limited features for anyone who wants to explore WalletBuilders. Functional coin with all features for anyone who wants to start their own coin. We offer a wide variety of custom services for your coin. 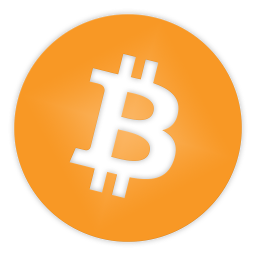 Coin type Free Paid [0.0151 BTC] Choose between a free coin or a coin with all features. A quark based coin must meet requirements to get synchronized and start the proof of stake (PoS) phase. Requirements to start the proof of stake phase can be found here. Coin algorithm Quark [PoW/PoS]+[MN] Scrypt [PoW] SHA-256 [PoW] X11 [PoW]+[MN] Algorithm of your coin. Coin name Name of your coin. Coin abbreviation Coin abbreviation (E.G. BTC). Address letter 123456789ABCDEFGHJKLMNPQRSTUVWXYZ Starting letter for addresses (E.G. 17VZNX1SN5NtKa8UQFxwQbFeFc3iqRYhem). Address letter testnet 123456789ABCDEFGHJKLMNPQRSTUVWXYZ Starting letter for addresses on testnet (E.G. MipcBbFg9gMiCh81Kj8tqqdgoZub1ZJRfn). Coin unit Name for the smallest unit of your coin. Verbal timestamp News headline from today or a random string. Website URL URL in about dialog of your coin that points to the website for your coin. Github URL URL in about dialog of your coin that points to the github page for your coin. Block reward Amount of coins received for mining using Proof of Work. Block reward (PoS) Amount of coins received for mining using Proof of Stake. Block halving Amount of blocks found before halving of block reward. Coin supply Total amount of coins your coin will produce. Premine Yes No Include a premine in your coin. The coin supply of your coin will reside in block 1. Premine amount Amount of coins that reside in block 1. Coin supply with premine Total amount of coins your coin will produce with premine. Last PoW block Last block that can be mined using Proof of Work. Coinbase maturity Number of blocks before a mined block can be spend. Number of confirmations Number of blocks before a transaction is confirmed. Target spacing in minutes Number of minutes it should take to mine a block. Target timespan in minutes Number of minutes before difficulty of the network is re-adjusted. Masternode rewards will start after the last PoW block is mined. Masternode reward Percentage of the block PoS reward. Masternode amount Amount of coins to setup a masternode. Masternode confirmations Number of transaction confirmations before a masternode can be setup. Include hard coded node in the source code. Node 1 Hostname/IP that points to a VPS running a node of your coin. Node 2 Hostname/IP that points to a second VPS running a node of your coin. You selected a free coin, you cannot upload your own logo. Select a PNG image for the splash screen of your wallet. Preferred image size: W: 480px | H: 550px. Select a PNG image for the testnet splash screen of your wallet. Select a PNG image for the icon of your wallet. Preferred image size: W: 1024px | H: 1024px. Select a PNG image for the testnet icon of your wallet.